Life can be hectic for Hong Kong's movers and shakers, and in a city as demanding as ours, it's a good idea—necessary, even—to take a breather every now and then. These days, meditation doesn't need to be done on a misty mountaintop, miles away from civilisation. These five meditation apps sit right inside your phone, so you're only ever one tap away from accessing your inner calm. Whether your goal is to meditate, breathe, sleep or relax, Calm’s soothing nature sounds and guided meditations that range from three to 25 minutes have an instantly calming effect. The Deep Sleep meditation series and Sleep Stories—read by well-known voices to bring you back to your childhood days—are especially helpful for drifting off to dreamland while the 10-minute ‘Daily Calm’ guided meditations are a great way to start each day. With soft pastel colours and adorable cartoon animations, Headspace wins over the other meditation apps with the cutest user interface. Calling it a ‘gym membership for the mind’, Headspace offers a free Take10 series—10 sessions of 10 minute meditations—after which a subscription is required to access the complete set of guided meditations covering relationships, creativity, focus, health and more. Stop, Breathe & Think breaks it down in simple terms and automatically makes you more mindful with its straightforward name. 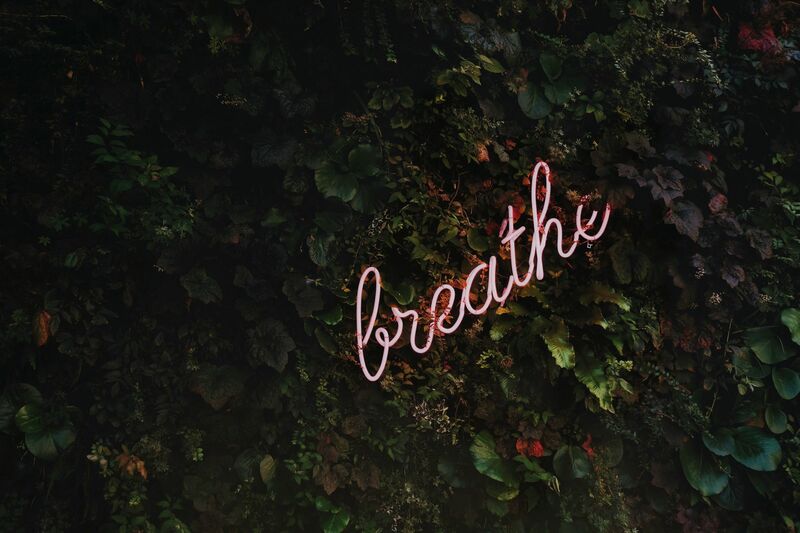 With the aim of encouraging mindful breathing to create space between your thoughts, emotions and reactions, it'll ultimately broaden your perspective. Identify your current emotions and enter them into the app to get a custom meditation prescribed to you. The best part is, Stop, Breathe & Think is accessible across multiple platforms including desktop, Facebook and even Slack. One of the few meditation apps that doesn’t require a subscription, Insight Timer stands out with a wide range of polyphonic bells (from Basu to Zhada) and ambient sounds to bring you deeper into your meditation. With over 8,000 free guided meditations and more than 1,000 teachers on the app, Insight Timer is also popular among users for breathing exercises, yoga, tai chi, chanting, prayer and healing processes like Reiki and massage. For a truly personal meditation session, mix and match your own tracks with meditation app Omvana. There are literally thousands of audio tracks, ambient sounds, binaural beats and narrated guides to choose from, including famous speeches and inspirational books. Get started with 25 free tracks when you sign up—the hottest categories at the moment include Body, Mind, Lifestyle, Productivity, Relationship and Hypnosis. Named the "Least Annoying Meditation App of 2017", 10% Happier is the app for those who aren't into the hippie-dippie spiritual side of meditation, but who still want to find a few minutes of peace and being present during their day. Taking a more practical approach to the practice, 10% happier explains the basics of meditation as well as interviews between ABC News correspondent Dan Harris and other notable meditation practitioners. Users also have access to coaches, with whom they can message and send questions to via the app. If this feel-good app teaches us anything, it's that it's never too early—or too late—to start getting into meditation. This Australian non-profit organisation "that works to make mindfulness accessible to all" offers free guided meditation content, sectioned into different age groups. There's even specialised content aimed specifically at families or educators so that children as young as seven can begin their mindfulness journey.